Sent to Auckland Council 50 min later. The fence separating 9 Campile Close to Chapel Road has come off its groove. 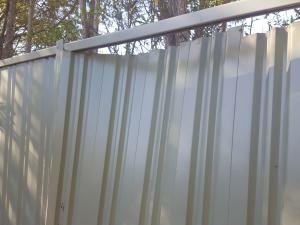 This fence is maintened by council. Please assist as it is a security issue, since people can come into our backyard through this broken fence. I have temporarily forced it to hold but it won't last.